Fishing is not always a matter of cane poles and shaded river banks. 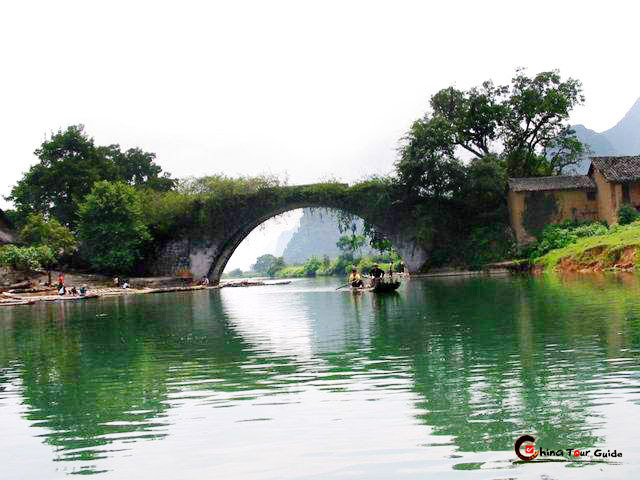 In parts of China, a diving aquatic bird called a cormorant has been used to catch fish for centuries. 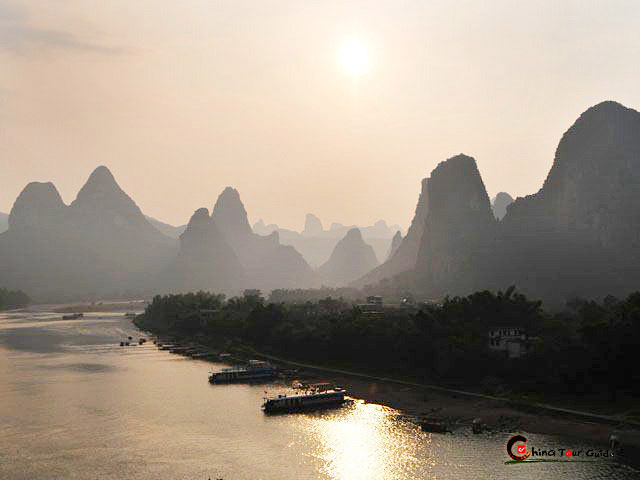 Travelers to Guilin can see cormorant fishing in person. Fishermen give performances for riverside audiences, both by daylight and by torchlight at night. After receiving the order from fisherman, the well-trained cormorants will dive into the water to hunt for fish. They are able to stay submerged under water without taking a breath for a long period of time. When they succeed in catching a fish, they proudly swim back to the raft and show off to the fisherman. The fisherman usually rewards them with one or two very small fish to encourage them. A band is fastened around the cormorant 's slender neck, so that decent-sized fish cannot be swallowed. The birds are fed and housed by their owners. A well-trained bird, still a valuable asset, can catch enough fish daily to feed a family. 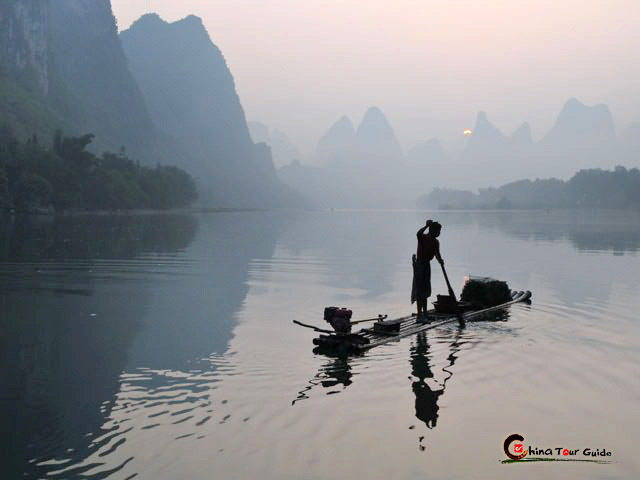 This way of fishing was once the primary method used by fishermen on the Li River. 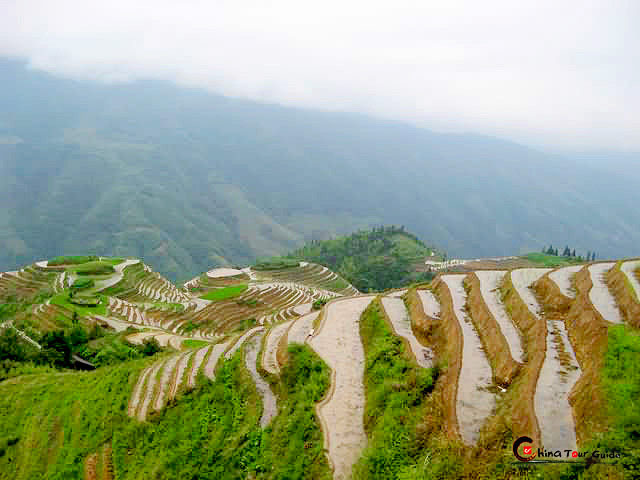 It has since been largely replaced by more modern methods, but is still an enjoyable recreational activity for locals. It also brings in good revenue through the evening entertainment shows for tourists from all over the world. Some of our tours allow you to get on the boats with the fishermen and the cormorants. The whole event is really memorable and something you won't want to miss.